Somewhere today there is a young man named Cameron Powell whose grandmother has recently died and who has a Great Grandmother named Dolores. A kind and gentle lady. If this young man were able to ask his great grandmother about his great grandfather he would hear the tale about a peaceful and kind man that made those who worked with him smile and enjoy their day. He lived his life in love with Dolores and his daughter and the very people that he worked with each day. All you had to do was walk in the same room as Howard Chumbley and a smile would come across your face instantly. You see. While I was in my first years as a summer help at the Coal Fired Power Plant learning from the True Power Plant men of my day, 15 miles north of the plant along the Arkansas River was another plant. 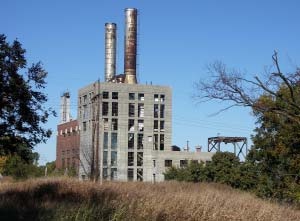 This plant was being operated by the Power Plant Pioneers of an earlier time. While we had the latest technological advancements that were available in 1974 when our plant was designed, the Osage plant was using old mechanical instruments that measured actual pressures and temperatures. What this meant was that when the pressure gauge registered 1000 pounds of pressure, it was because the pipe that was connected to the back or bottom of the gauge had 1000 lbs of pressure on it. I don’t know. They may have had a regulator on there that cut the pressure down to a safer range. That would seem crazy to anyone today to think that behind the Control Panel in the Control Room were pipes that ran from different steam pipes all over the plant to the gauges on the Control board, so that the Control Room operators could operate the plant correctly. 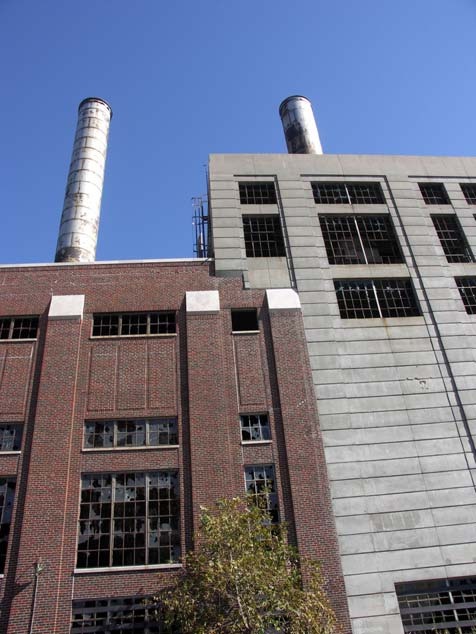 The Power Plant Men that worked in these early Generating Stations were subjected to dangerous chemicals and conditions though it was the best they knew at the time. Asbestos insulation covered the steam pipes. Turbine oil with PCBs were used to clean their tools. Howard Chumbley explained to me one day that they used to wash their tools in Turbine oil up to their elbows in what was now known to contain the dangerous chemical PCB (Polychlorinated Biphenyls). A funny fact I found out later was that there was a temperature probe in the river just downstream from the plant taking the temperature of the water just like Sooner Plant (See the Post about Power Plant Men Taking the Temperature Down by the River). 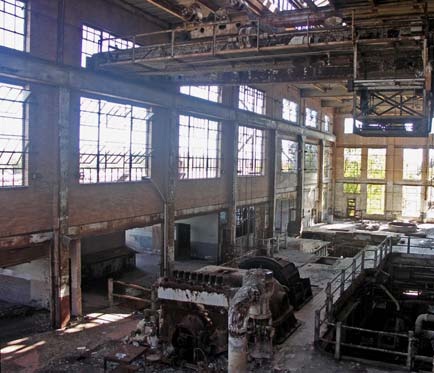 When the old Osage Plant closed in the early 1980s, that was when I first learned about it. This was because some of the pioneer power plant men came to work at our plant. Howard Chumbley became an Electical foreman and Gilbert Schwarz came to our plant as the superintendent of operations. Two gray haired men, both with a kind of slow peaceful look on their face. Howard had a smaller build with soft wavy gray hair. He could have been a professor at Harvard if you put a pipe in his mouth and a turtleneck sweater. Of course, that would not have been fitting for Howard. Gilbert was tall and had the look of a cowboy or a farm hand. I understand that he enjoyed working on the farm. I could see where equipment used to stand that had been sold for scrap or stolen by vandals. When we arrived at the oil spill I was surprised by how small of a spot it was. It couldn’t have been more than one square foot. I put on the rubber suit with it’s rubber hat, rubber boots and a full face respirator and rubber gloves. I took a putty knife and scraped up the tar-like substance and placed it in special bag that had a special seal on it. When I had scraped up the thick stuff, I poured trichloroethane 1.1.1 solvent (which is no longer used due to the dangerous fumes that damaged your liver) on the spot and scrubbed it with a wire brush. Then I took a Scotch Brite pad and scrubbed the floor until the spot was much cleaner than the concrete around it. Everything I had used went into the special barrel. The bags of tar, the Scotch Brite pad, the wire brush the putty knife and the rags I had used to wipe everything up. Then as I took off my suit, every piece of the rubber suit including the full face respirator went into the barrel. 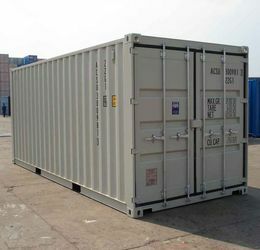 Once everything was in the barrel, the special lid was placed on top and it was bolted shut. 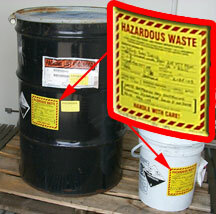 A Hazardous Waste sticker was placed on the barrel and the time and date and what was in the container was written on it. We took the barrel back to the plant and it was placed in a hazardous waste Conex Box that was later buried when it was full of different types of hazardous waste from all over Oklahoma. A few years after Howard Chumbley retired, so did Gilbert Schwartz. Gilbert was the Superintendent over the Operators so I didn’t work around Gilbert and I knew very little about him. However, later when I was married and living in Ponca City, I would see him at the Catholic Church in Ponca City where he was a member of the Knights of Columbus. He would nod and say hi whenever he saw me. Both Howard and Gilbert were in the military. 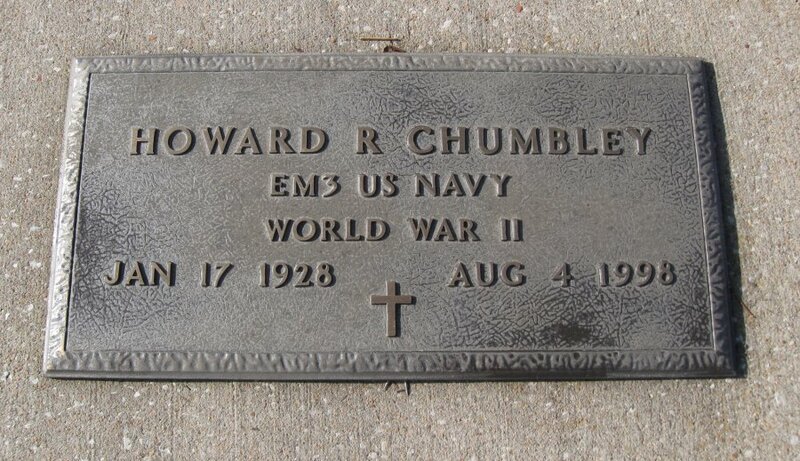 I know that Howard Chumbley was in the Navy during World War II and that Gilbert Schwarz was in the Korean War. Growing up I noticed that older men that had served in the armed forces seemed to have light gray hair. Especially if they had been in the Navy. I don’t know if it’s just a coincidence. Aubrey Cargill was that way also (See the post about Painting Lessons with Aubrey Cargill). 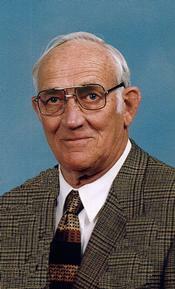 In 1998, Howard Chumbley died unexpectedly when he was admitted to the hospital in Ponca City with a broken arm. The hospital in Ponca City had a bad reputation (or Mortality Rate, as some might say). People didn’t want to go there if there was anyway to avoid it. The hospital in Stillwater was the preferred hospital in this area of Oklahoma. I only met Dolores Chumbley on two occasions and they were both at Christmas or Award banquets. She seemed the perfect spouse for Howard as she appeared kind and peaceful as well. I’m sure they had a happy life together. I do not have a picture of Howard. I wish I did. His demeanor reminds me of my Mother-In-Law. We have a picture of her in our hallway and the words below the picture says: “Be Kind”. I would say that this is what Howard was all about. Everything about Howard was kindness. I was glad to have known him. This past week on June 24, 2012 Gilbert Schwarz died at the age of 83. He lived a long and happy life as did Howard. There was something about these Power Plant Pioneers that gave them a strange sort of peace. I never found the source of this peace for sure. I suppose it was their long and happy marriages with their loving and supportive wives. Howard had a daughter that he was always very proud to discuss. She was a teacher somewhere close to Tulsa. She recently died of Cancer on January 4. That was 2 days after I wrote my first Power Plant Man post (Why Santa Visits Power Plant Men) at the beginning of this year. Gilbert never had a child of his own, but his nieces and nephews meant a lot to him throughout his life and he was active in their lives as they grew up. I suppose if the Power Plant Pioneers were anything like the True Power Plant Men of my day, then they found a lot of peace in the friendships that they had with their fellow Power Plant Men locked away behind the Main Gate that they had to drive through each day on the way to work. Once you drive through that gate and enter into the Power Plant Kingdom, there is a certain peace that you feel knowing that what you will do that day will directly affect the lives of millions of people in the state of Oklahoma. These Pioneers of the early days willingly put themselves at risk working around equipment that did not have the safeties and guards that we have today to supply the electricity to the State. I don’t know there are a few of these brave Pioneers left from the Osage Plant. Gilbert was the last of the older men that I knew about. If you happen to find one of these men some day, don’t miss the opportunity to talk to him. I am sure they would be proud to tell you of the days that they spent being Pioneers of the Power Plant World. You should be able to recognize them. You can pick them out in a crowd. They are the mild peaceful looking old men treating the people around them with respect. Thanks! I had not heard of Gilbert’s passing. Yes, the old plants had full pressures to the gauges in the control room (throttle, extractions, reheat (if any), even condenser vacuum). The funniest “gauge” I ever saw was at the Byng Power Plant (north of Ada). It was the plant MW output “gauge”. When the control room operator changed load, he would move the dial on the “gauge” (with his hand) and ring a buzzer. The men firing the boilers would hear the buzzer, look through the glass window at the new plant MW output, and change the firing rate on the boilers accordingly! That’s a great story about the MW output gauge! This reminds me of the throttle control on large older ships. The round thing with the handle that the captain would turn to change the speed of the ship. This is really called an “Engine Order Telegraph” that rings a bell when the setting is changed so the Engine room knows to look at the new setting and then does what it takes to make the ship go faster or slower, or even to change from forward to reverse. In the movies it looks like it just happens automatically.